Hyaluronic Acid: clinical studies show hyaluronic supplements increase skin’s moisture content while also offering anti-inflammatory properties. Gingko: An antioxidant that improves memory and mental awareness and can improve DNA repair rates. Ginseng: Treats anxiety and fatigue but has also shown to be a potential agent in protecting against dermal cell damage caused by UVB rays. Green Tea: Speeds up metabolisms but also lowers DNA damage in humans. 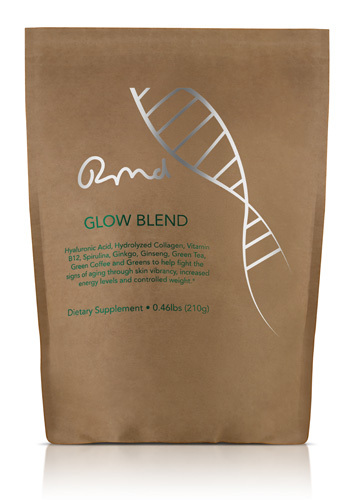 Green Coffee: Burns fat but also increases the rate of DNA Repair. Vitamin B12: normally involved in the metabolism of every cell of the human body, especially affecting DNA synthesis and regulation, but also fatty acid metabolism and amino acid metabolism. Chlorella: a fresh water algae. It contains 60% protein, all 18 essential amino acids, peptides, proteins, vitamins, and nucleic acids and works as a detox. Barley grass: contains vitamin C, polyphenols, amino acids, enzymes, and many essential trace minerals and chlorophyll, a natural detoxifier. PM Supplement. 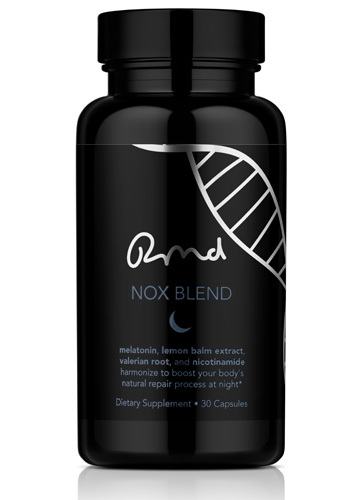 Meant to be taken in conjunction with the Remedy Blend, the Nox blend is designed to boost the body’s natural circadian rhythm, the nighttime DNA Repair process. It contains the second recommended serving of 500mg of Nicotinamide with other natural extracts for optimal DNA Repair while you sleep. Nicotinamide: A form of Vitamin B3 typically used for anti-inflammatory purposes. A twice-daily dose of oral nicotinamide has shown to decrease the incidence of non-melanoma skin cancers and AKs plus a 23% decrease in the number of skin cancer development over a 12-month treatment period. Melatonin: Enhances DNA repair by affecting several key genes involved in DNA Damage responsive pathways while aiding your sleep cycle. Valerian Root: A natural herb to help ease stress or anxiety. AM Supplement. Meant to be taken in conjunction with the Nox Blend, the Remedy blend is designed to kick start the body’s natural DNA Repair process in the AM combining the first recommended 500mg of Nicotinamide with other natural extracts for optimal DNA Repair. Polypodium Leucotomos Extract(PLE): a fern extract from Central America that has been shown to reduce UV damage by speeding up the DNA Repair process. Folic Acid: shown to accelerate skin regeneration by significantly improving turnover and to improve DNA stability and reduce the risk of certain cancers. Turmeric: contains curcuminoids that possessantioxidant, anti-inflammatory, antiviral, and anti-fungal properties and helps to protect tissues throughout the body. Mustard Seed Extract: Containsvitamins and minerals, and has antioxidant, anti-inflammatory and detoxifying properties.